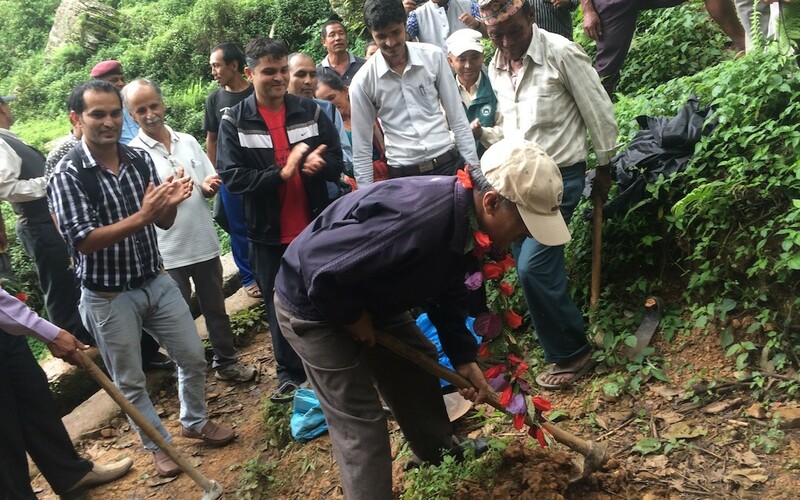 Chief Secretary of Nepal Leela Mani Paudyal celebrated the repair of critical water infrastructure by ceremoniously breaking ground and laying a foundation stone with volunteers from FFP. One of Nepal’s top government officials recently visited the Food for People (FFP) facility in Nepal, giving it a superlative evaluation and recognizing its volunteers’ role in rescuing the community’s water supply. 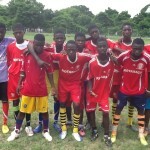 “The cleanliness, standards, quality, and management are excellent. 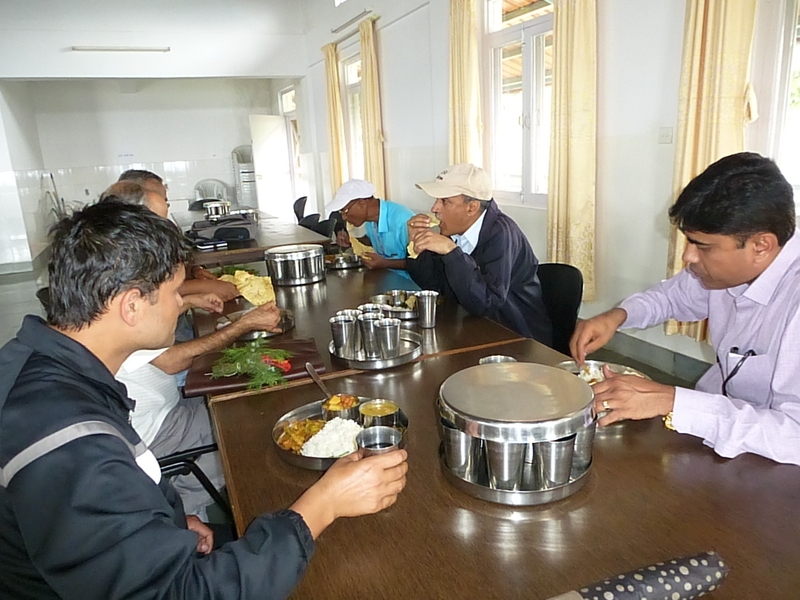 I am very happy to see the support extended by this facility to the school, children, and the whole community by serving hygienic meals,” said Leela Mani Paudyal, Chief Secretary of the Government of Nepal. 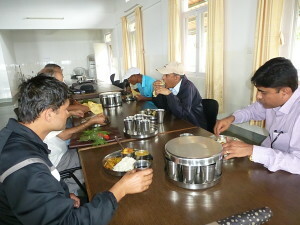 Chief Secretary of Nepal Leela Mani Paudyal toured and ate at the FFP facility. Since The Prem Rawat Foundation (TPRF) opened the kitchen in Tasarpu in 2009, the model food program has grown to feed approximately 1,600 children each week. 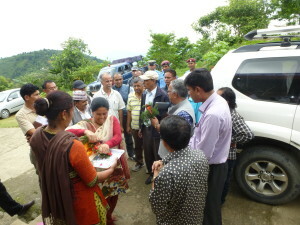 Secretary Paudyal and other government dignitaries toured the facility, ate lunch there, met with local villagers, and observed TPRF’s earthquake relief efforts. He was also on hand to celebrate the construction of a new drinking water project that was spearheaded by TPRF’s long-term partner, Premsagar Foundation Nepal. 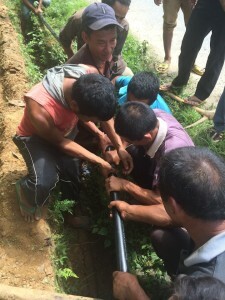 The devastating 7.8-magnitude earthquake that struck the country April 25 damaged the water distribution system in Tasarpu, leaving the FFP facility, as well as five surrounding villages, without a consistent source of water. 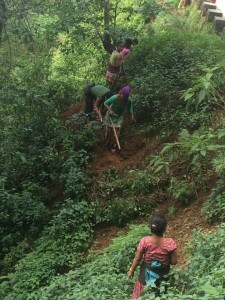 TPRF worked with Premsagar Foundation volunteers and local villagers to quickly repair the system only to have it damaged again in a major May 12 aftershock. The second quake caused the riverbed to shift, drying up the longtime source of drinking water for thousands of people. Volunteers worked hard to rebuild the water system that serves FFP and surrounding villages. 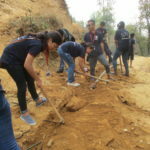 The Premsagar Foundation helped coordinate a subsequent effort between government agencies, local villagers, and other NGOs to locate another water source and build new infrastructure. 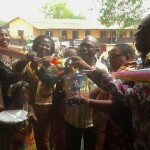 Secretary Paudyal celebrated the effort by ceremoniously breaking ground and laying a foundation stone. 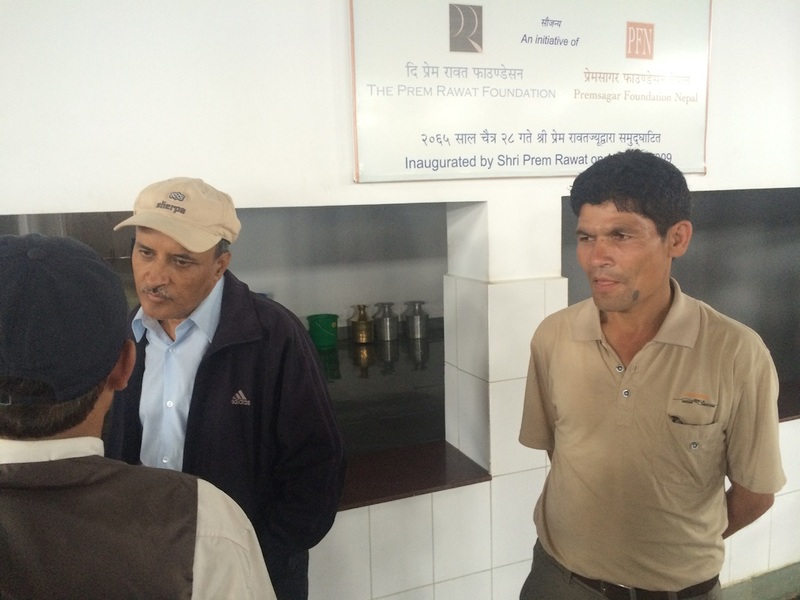 He thanked Premsagar Foundation and all the volunteers for their hard work to restore water distribution to the area. 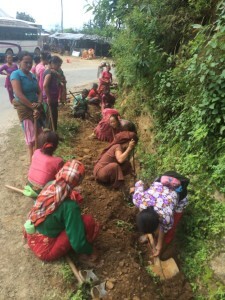 Volunteers lined up to help with the physical labor it took to construct the new water distribution system in Tasarpu.